A fully handmade custom garment designed and commissioned by you, and created specifically just for you. 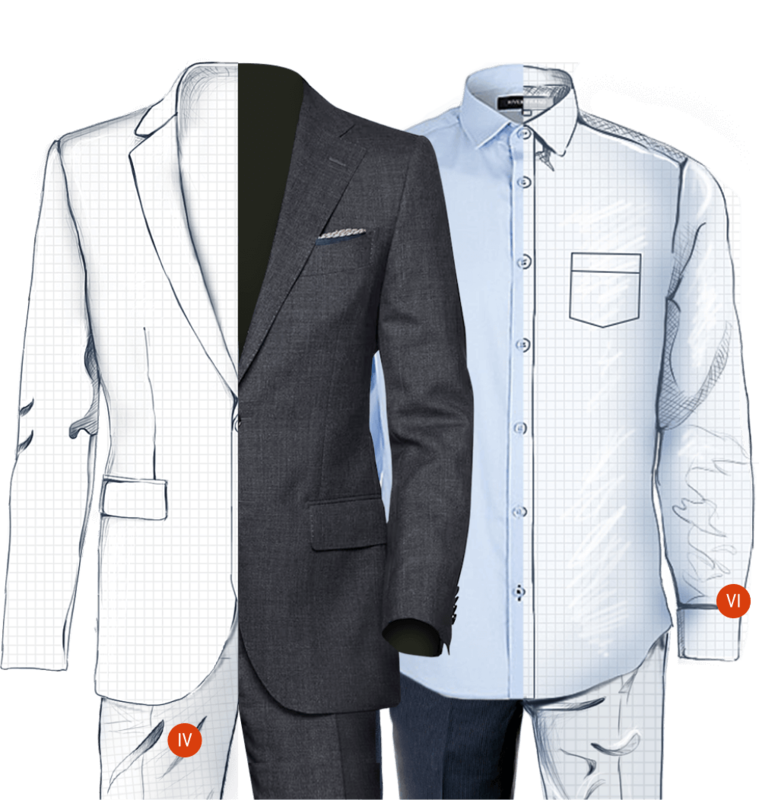 Meet with a traveling tailor in your city to be fitted for your next custom suit/shirt. 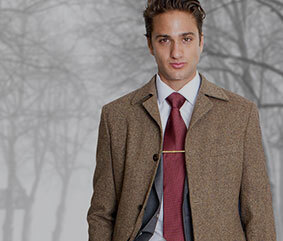 Locate a tailor by viewing our tour schedule. I purchased 2 pair of pants from you and they are awesome! The fit is absolutely perfect and the Quality is second to none. I have worn all types of expensive brands of dress pants and I will only wear yours. Thanks for a Quality product. 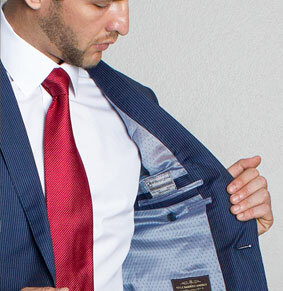 "I have purchased more than 20 custom made suits from M. Kenny, having introduced himself to me at a professional convention in New Jersey, since that time after seeing the quality of his work and experiencing a truly custom made garment, I will not purchase my finer clothing from any other source. Dependabl, reliable and always available. I like Mr. Kenny's products to a point in which most every business shirt I own is from his firm. Mr. Kenny, The remade blue silk shirt fit great. I would like to order a less formal, white, cotton, button cuff shirt, with similiar material to my last button cuff white shirt. I would like it the same size as the blue silk short. Thanks. Hey Ken, I just received the last 3 suits from my order. They are beautiful. I had them pressed so I could wear one of them to a friend's wedding last weekend. I couldn't be happier with the style and fit. You truly are a master of your craft. Hope to see you soon! Kenny: Just received my order. I am surprised at how well everything fits! I should have gotten your help a while ago...I love the monogramming on my shirts, definitely eye-catching. Please let me know when you plan on returning to Milwaukee so I can bring a few of my co-workers to you. See you then. Kenny, Just got my shirts and matching ties. My girl friend and I love everything! Thank you so much! Dear Mr. Kenny: I received the four blouses and one suit already. I love the navy suit and it fits perfectly. It is being pressed now and I will be wearing it to my installation banquet. Thank you ever so much. M. Kenny - The sample shirt has just arrived and is absolutely wonderful. I am just disappointed that I did not order more when I last saw you! Please send the rest of my clothing and let me know when you're in town next. Hi Kenny: The suit coat and blouses that you altered arrived today and they are now perfect! And the pink blouse you made for me is just BEAUTIFUL!! Thank you so much for helping me to look good. We'll see you soon! Mr. Kenny, My husband's suits and shirts have just arrived and they look and feel great! Thank you for helping my husband to transform his wardrobe into a work of art. Never before has he received so many compliments on his clothing! Kenny, I wanted to thank you for the clothing. Great shirts at a great price - I must say that "affordable elegance" is your specialty. 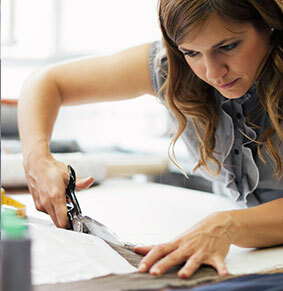 To top it off, your expert tailors and employees should be rated as #1 in customer service. Kenny, I just wanted to take a minute to write an e-mail to say 'thanks'. I have just tried on the blazer, shirt, and tuxedo and I can honestly say that they are the most comfortable and perfectly fitted pieces of clothing I now own. Furthermore, the clothing has reaffirmed the fact that I will probably never shop at a department store again. Dr. William M. Pollack, Jr.
Kenny, As a customer for several years I have seen many tailors come across my way. I can honestly say, however, that I will and always will be a loyal customer of yours. I can't wait to order my next set of shirts! 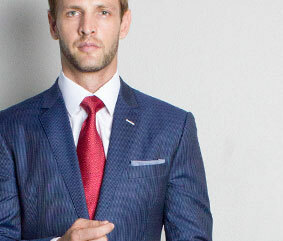 "Kenny, As a customer for several years, I have seen many tailors come across my way. I can honestly say, however, that I will and always will be a loyal customer of yours. I can't wait to order my next set of shirts!" "Dear Mr. Kenny, Mrs. Dreyfus will not permit me to wear any suit other than those made by you these past ten years. The suits look and feel great!" Do you want to create a strong impression at all times? Thanks! 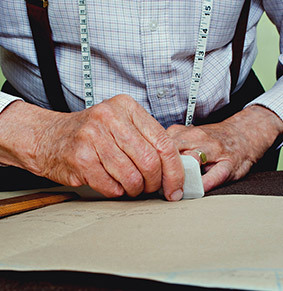 Our master tailor looks forward to meeting you soon.